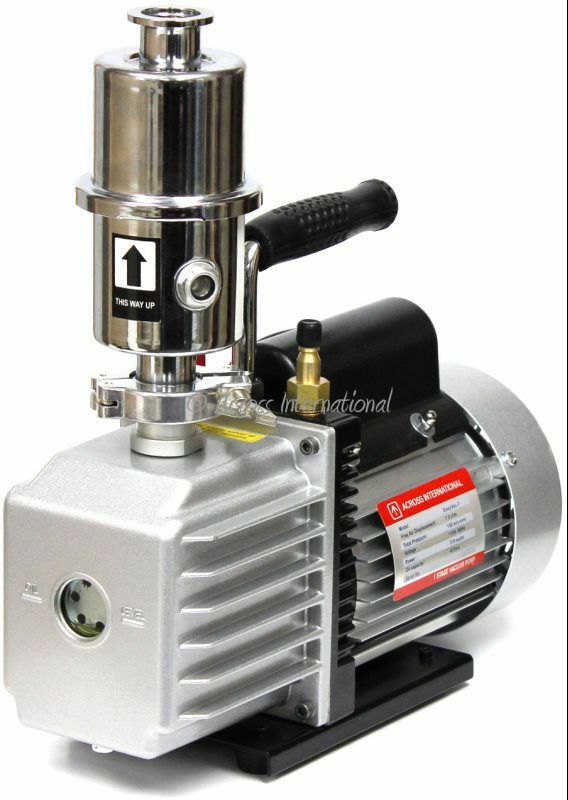 Our new AI EasyVac 9 cfm dual-stage high speed sliding-vane rotary compact vacuum pump with KF25 vacuum connector. Comes with all necessary fittings and a exhaust oil mist filter which also returns trapped pump oil back to the pump and makes the pump quieter to run. It is important to note that pumps should always be ran in a well ventilated area. 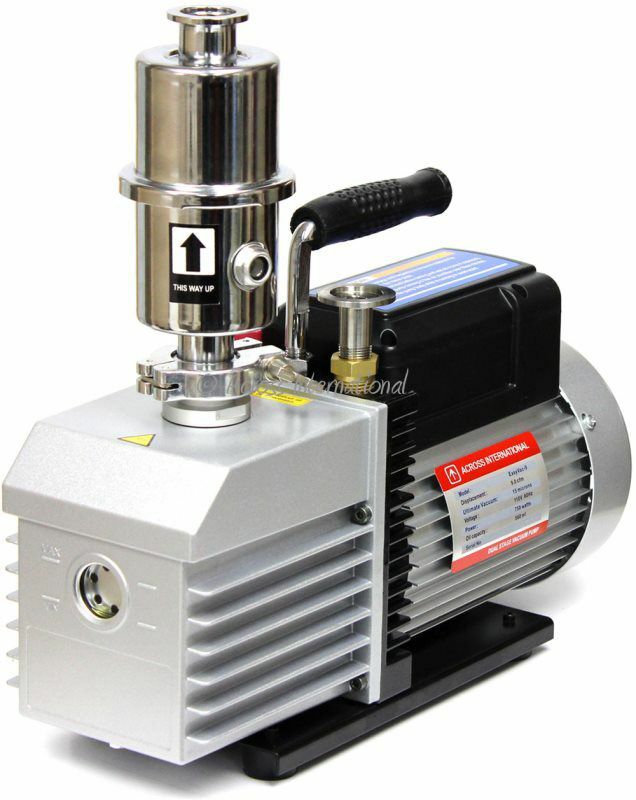 The new Ai SuperVac-5C 5.6 cfm commercial grade vacuum pump is now corrosion resistant! 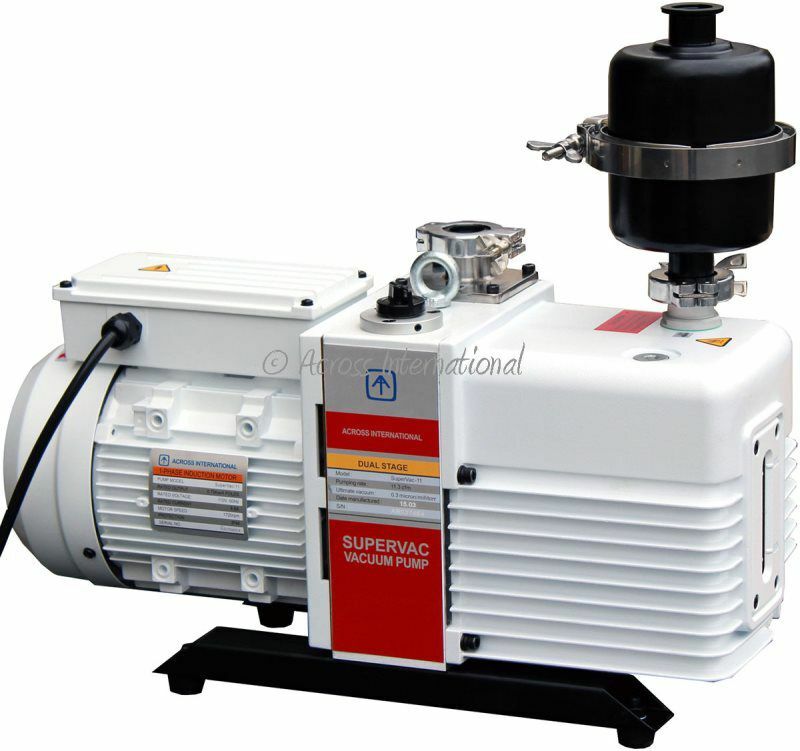 The Ai SuperVac-11 11.3 cfm commercial grade heavy duty dual-stage vacuum pumps are designed for reliable long time continuous operation, they will take your equipment's vacuum down to 0.3 micron in minutes. Comes standard with all necessary fittings and a high capacity exhaust oil mist filter which also returns trapped pump oil back to the pump and makes the pump quieter to run. 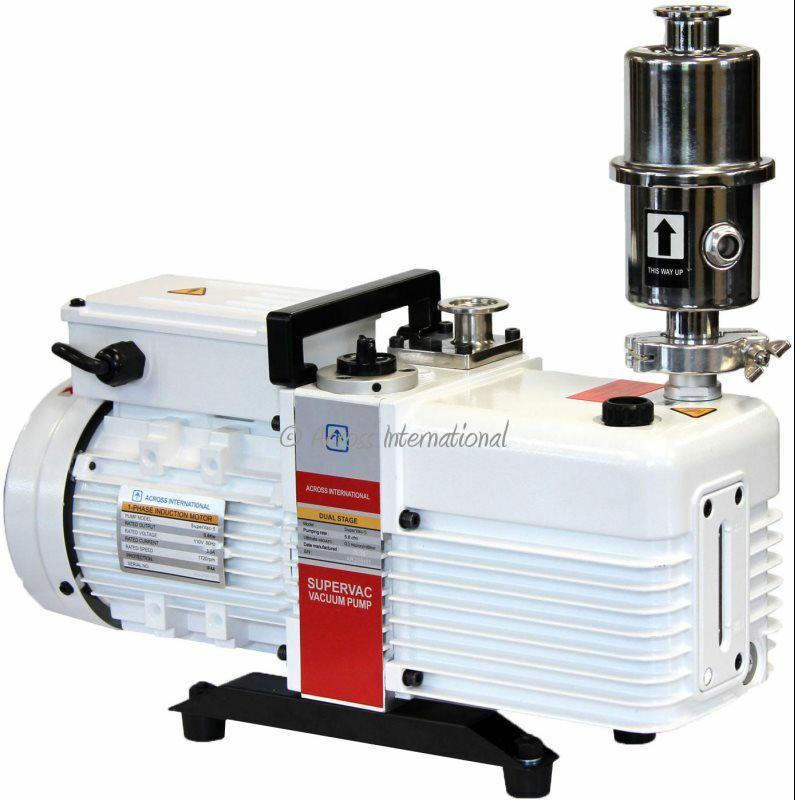 Intruducing the new 220V corrosion resistant Ai SuperVac-21C 21 cfm commercial grade heavy duty dual-stage vacuum pump. These pumps are designed for reliable long time continuous operation, they will take your equipment's vacuum down to 0.3 micron in minutes. Comes standard with all necessary fittings and a high capacity exhaust oil mist filter which also returns trapped pump oil back to the pump and makes the pump quieter to run. 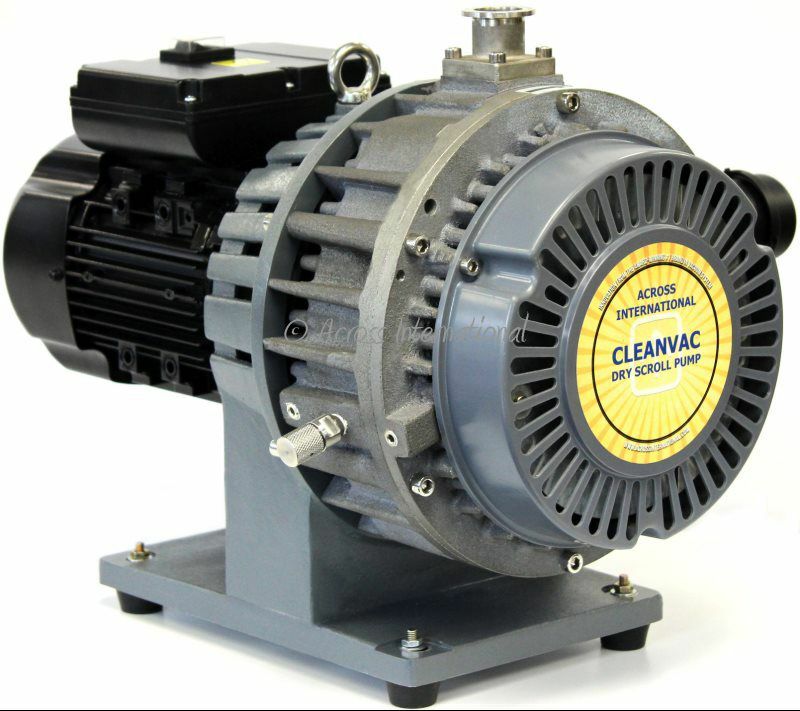 The new Ai CleanVac 5.1 cfm is a compact, lightweight, oil free dry scroll vacuum pump that will take your equipment's vacuum down to micron level in minutes. These scroll pumps are completely oil free with low ultimate pressures, low power consumption low vibration and low noise. 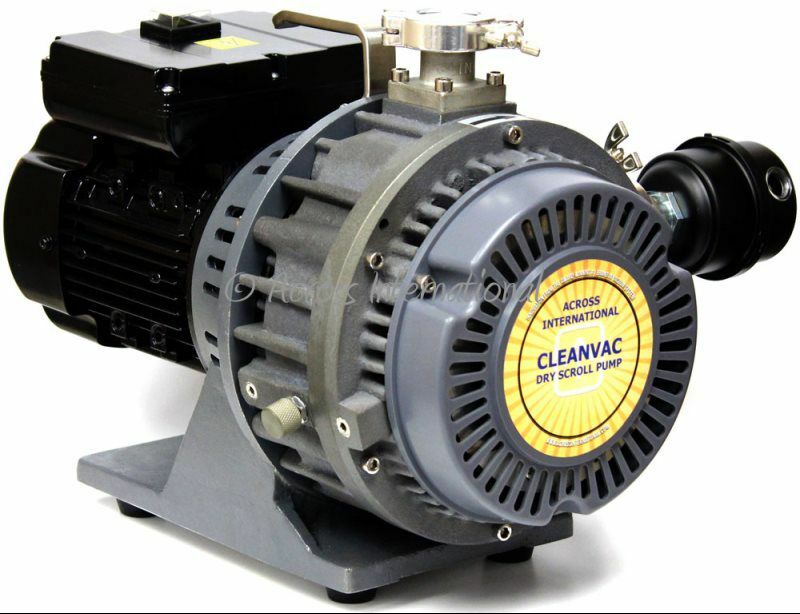 CleanVac offers a clean vacuum environment and eliminate the nuisance of cumbersome lubricant maintenance or sealing water administration, they are also free from installation restrictions because of its air-cooled system. Important! 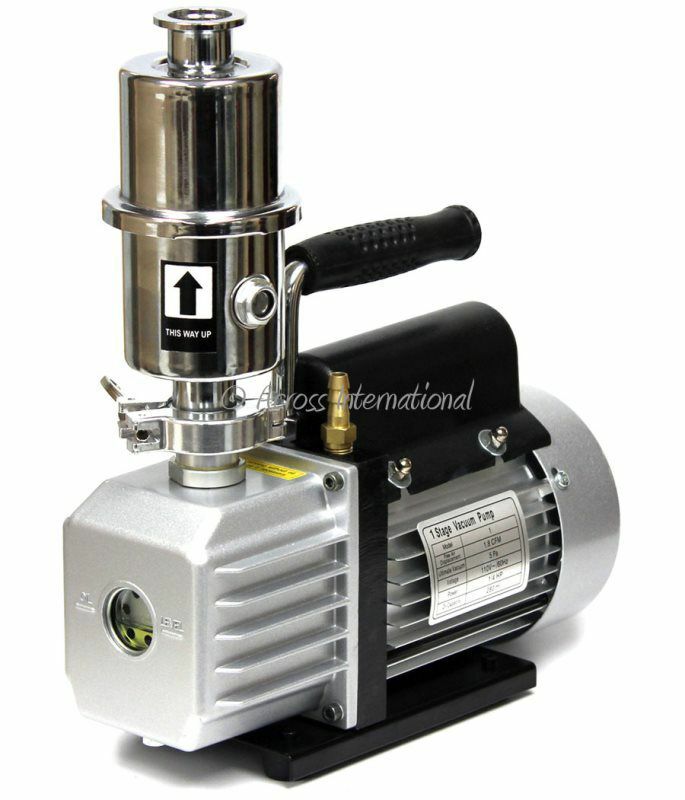 Do not use the CleanVac pump to pump alcohol vapor, pyrophoric or explosive gas mixtures. Use of a cold trap is highly recommended when working with solvents, and the gas ballast should be kept open to its maximum position at all time. Pumps should always be ran in a well ventilated area.